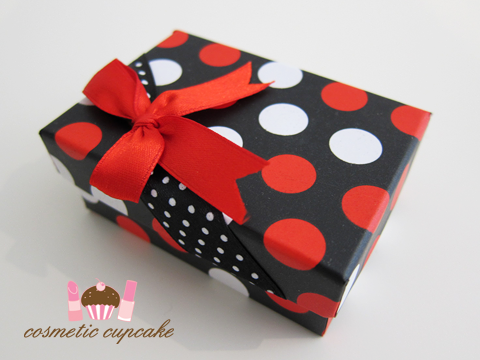 Today I’m going to show you what was hiding in the cute black and red polka dot gift box Christina gifted to me in our birthday package. 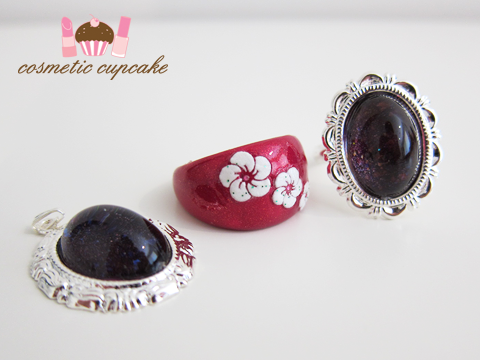 It contained 3 absolutely beautiful pieces of her handmade jewellery using OPI and China Glaze polishes! I was just speechless when I opened the box and from the pictures I'm going to show you I’m sure you’ll understand why. Christina makes beautiful items but even I didn't expect to receive such stunning creations!! Christina creates stunning Japanese style nail art, decoden and kawaii deco items that she sells in her Etsy store Cels deconails. She also makes jewellery with nail polish and you can see her blog post that showcases some of her designs and Japanese nail magazines and Youtube tutorials that feature these rings here. Each piece is handmade with lots of care and attention to detail and then wrapped to perfection. If you follow me on Twitter then you would have seen my tweet giving a sneak peek of my ring when I received it a few days ago! As soon as I opened up the box and laid eyes on this piece it was simply love at first sight < 3 The ring is absolutely breathtaking and my pics do not capture the prettiness of the ring and the way the flakies and glitter just sparkle in the light! The setting is so elegant and simply devine, it makes the ring so grown-up and is just so very "me". I would soooo love an engagement ring in this setting if anyone wants to know LOL. Christina also made me a matching pendant with another silver setting which is just as beautiful and special! Ummm don't mind my reflection! 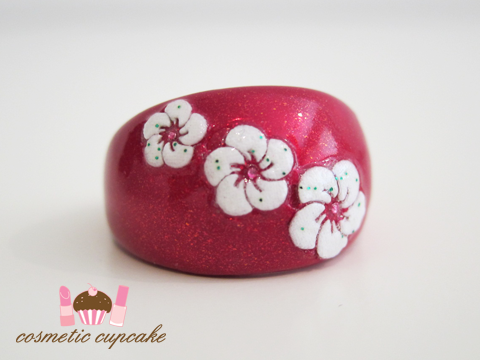 This sparkly red ring below is made with China Glaze Ahoy! from the Anchors Away collection and hibiscus stickers for the final touch. It's so cute and perfect for Spring/Summer! The colours from Anchors Away didn't really appeal to me but now I'd really like Ahoy! as it's such a cute glittery red and that way I can match the ring to my mani =D I love being matchy matchy haha. I cannot describe just how much I adore these rings and the pendant my dear friend. They are SO beautiful and I love them so much. Thank you a million times over! 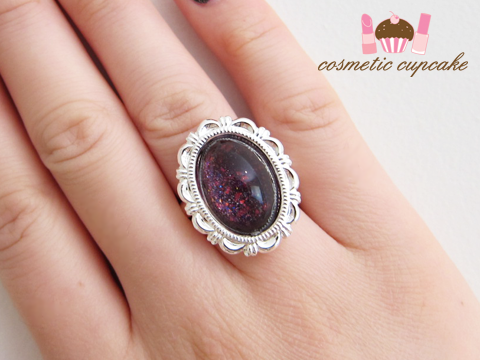 You can win 2 of these gorgeous rings made from nail polish in My Big Birthday giveaway! 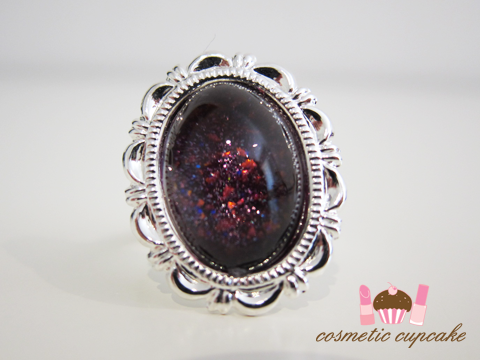 Or if you can’t wait, you can purchase Christina’s gorgeous rings from her Etsy shop Cel’s deconail. If you make a purchase from Cel's deconails before the end of my giveaway you can gain 4 extra entries to my giveaway - so what are you waiting for! I love the pendant! So elegant. LOVE that first ring.. The sorta mood looking one. So cute! I love that first ring too! they are so cute! xo. They're so pretty! I really love the pendant. Those rings are really cute! love me all! the jewelry is sooo beautiful!!! @you nailed it! : I couldn't agree more! 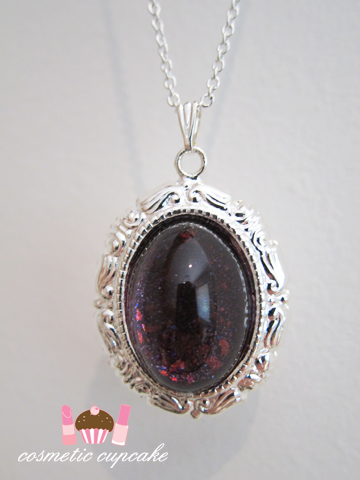 @Cherry Pullinger: You should see her kawaii and deco pieces - even cuter!! @Jennifer Leigh: Now you mention it, it does look like a mood ring! @snowbunnytales: Glad you like it too! @kay eh tea ei: Thanks! @Danielle: It looks so lovely on. I feel so elegant when I wear it! @beauxsmom: Christina's pieces are well worth the $$. And they are reasonably priced especially when you know they are handmade. @ChinaDoll: Good to hear you like them too hun! @Oreleona: I couldn't with you more Oreleona. I want everything Christina makes!